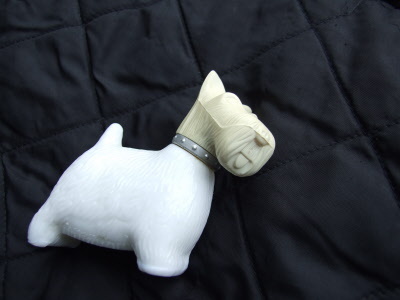 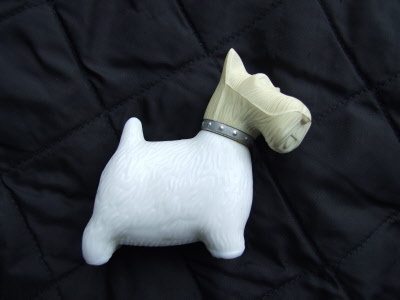 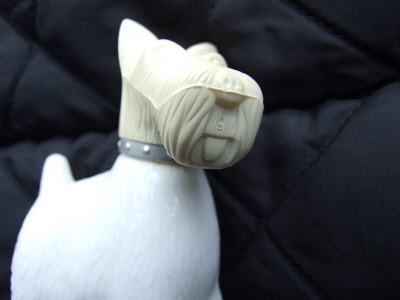 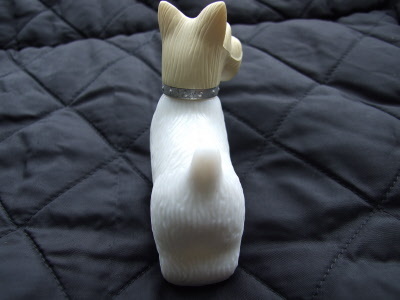 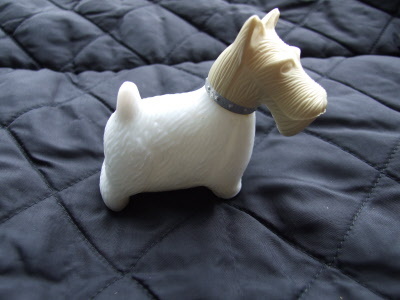 West Highland White Terrier Avon perfume bottle. 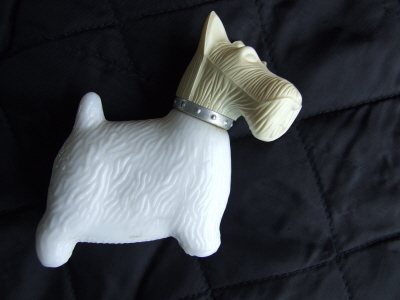 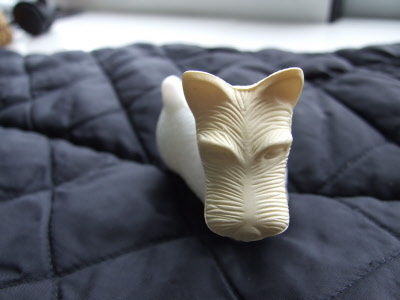 The head is made of plastic and the body is white milk glass. 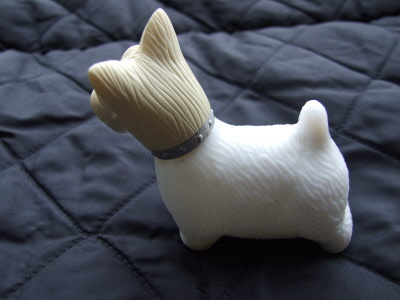 It has the AVON printed under the tummy. 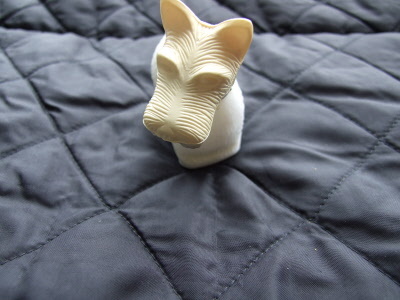 & about 4 inches or 10 cm wide. 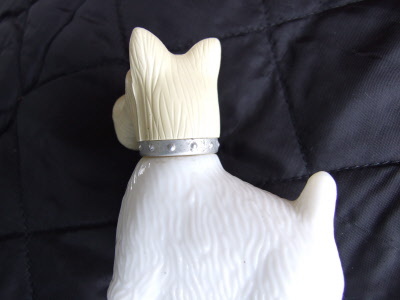 There is a silver metal collar on the dog at the point of removal for the head to the bottle. 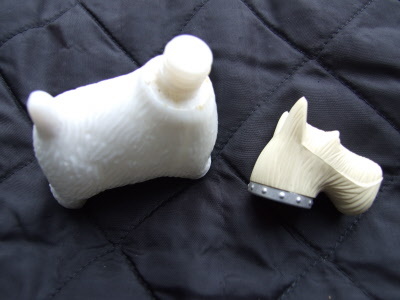 Still has a tiny bit of perfume.